It’s that time of the semester when you start to realize you need to look for an internship. 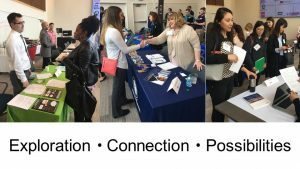 Luckily, UMSL Business hosted an amazing marketing career fair last Tuesday to help us out. The career fair had so many different marketing companies who came and well…marketed themselves to us. We were able to speak with so many different types of companies that could potentially fit our career paths. If you wanted to work for a completely virtual company you were able to talk with Covenant Technology Partners. Or, if you were interested in gaining experience inside a digital media agency, SLAM! was the booth to beat. 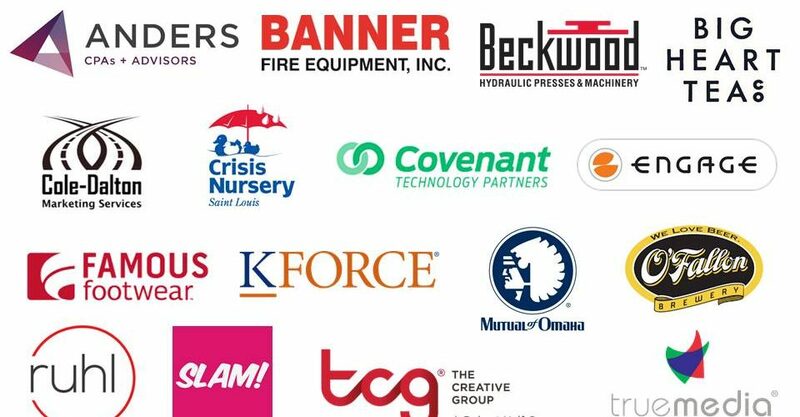 There were so many businesses that came to this event that we put them all on here for you! Don’t freak out if you missed the event, just go on their websites to see what they have available for you. The communication department at Saint Louis Crisis Nursery, a non-profit organization that serves children and families in need, shared that they were looking for someone who could help share their success stories on social media and that UMSL seemed like the perfect place to find a student who could do so. One thing that I appreciated as a student who is not a marketing major, but a media studies major, was that a lot of the businesses I spoke with told me they did not require their interns to have been a marketing major. So even if you are not a marketing major, it looks like there are still opportunities for you to gain a marketing experience! We got the chance to speak with a few students who attended the event and every student we spoke with had a success story to share about their experience at the event. Natsumi Watanabe, a senior marketing major, attended the fair looking for a paid full-time internship for when she graduates in the spring. Natsumi was able to initiate a relationship with a business that she is very interested in. Natsumi said her experience at the career fair was successful and found an internship she will be applying to. A similar story is Tim Bodi, who is also a senior marketing major. Tim was excited that he was able to find an internship that offered flexible hours and is paid, his two most important requirements. On top of internships and careers, companies who came to the event were handing out free experience! True Media offered free student workshops to people that came to the career fair. At the workshop, you get to work on clients that partner with True Media. “Our team of experts will develop your skillset in media strategy to create a top-of-the-line solution for the client’s business,” -True Media. This. Is. Free! As UMSL students we need to take every opportunity we can get our hands on. Being able to get experience on our resume is one thing, but earning those connections are priceless. Make sure to keep an eye out for future career opportunities on UMSL Businesses’ Twitter, Instagram & Facebook pages!